After high-profile announcements that Forever 21 and Abercrombie & Fitch will close their flagship shops in Hong Kong, Prada is in line for another luxury brand closure as closes its boutique at the Peninsula arcade in Tsim Sha Tsui on December 31. According to a news release by the South China Morning Post, the 3,091 sq ft outlet outlet, which has been a landmark shop in Tsim Sha Tsui since 1986, will cease operations as the number of luxury shoppers, notably Chinese tourists have declined as appetite for shopping overseas was tempered by falling yuan. This could put a hard brake, analysts say, to luxury stores that have expanded rapidly in the past decade. “The tenancy contract between The Peninsula Arcade and Prada will conclude on 31 December 2016,” a hotel spokeswoman said via email. 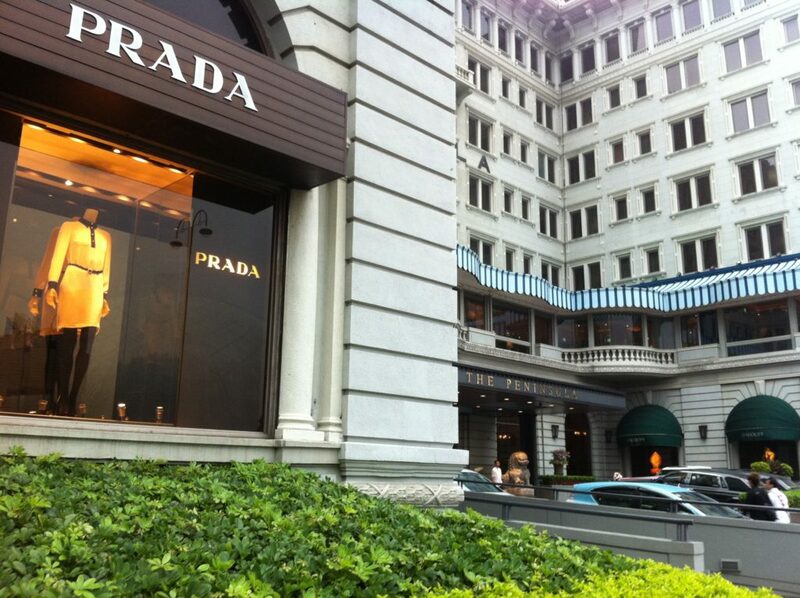 Prada has 11 stores in Hong Kong. Earlier this month, Ralph Lauren closed its 20,000 sq ft store in Causeway Bay as Burberry will scale down its biggest Hong Kong flagship store in Pacific Place by 50 per cent in the coming year. Statistics show retail sales of jewelry, watches, valuable gifts and other luxury items have fallen by 19.7 per cent in the first 10 months of the year. Perhaps, attitude of local shoppers might have changed as well. With shops such s YMK, twist and Brand Off selling the same brand-label products at cheaper price tags, there are more choices available in the market.